Overnight, the weather changed announcing the arrival of autumn, and with it comes not only cooler weather and browning leaves but also some great theatre premiers, music and film festivals. This week hosts The Autumn Music Festival which brings togeather both modern and folkloric music from different regions of the world. (more information at http://www.festivaldeotonobue.com/) On Thursday the liveliest night of the week gets a boost from the St Patricks day celebrations! 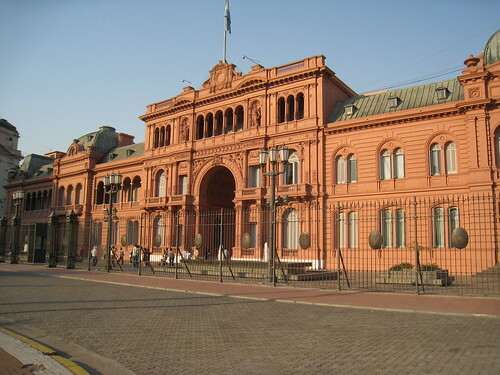 A little bit of history is a great way to begin the week and a visit to the “Casa Rosada” and to the Presidential Museum is the perfect starting point. In the evening from 8pm onwards you can go to nearby traditional Bar Sur where you can sit and watch live tango. *The friday nocturnal tour of the ecological reserve must be booked no later than today- see Friday for more details. La Boca is a famous ‘barrio’ known for its brightly painted houses and its conventillos, where mostly Italian immigrants settled. After walking through ‘caminito’, visit the Quinquela Martin art museum where a collection of this local artists depictions of La Boca is displayed. For a great lunch in the area, go to El Obrero, a very old traditional Argentine-Italian restaurant. In the evening head to the Autumn Music Festival at La Trastienda to listen to French singer Berry’s music. La Manzana de las Luces is a block of historical buildings which housed the first public school, university and library. On this block is the San Ignacio church, the oldest in Buenos Aires. 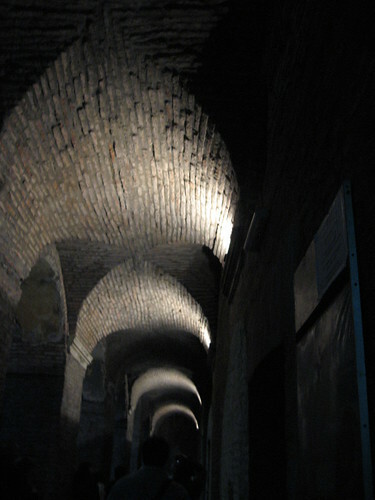 A mysterious set of tunnels, dating back to the 1700’s is another of this landmarks attractions. Later on head to The New Brighton, a restored traditional british style restaurant that still keeps two magnificent wood carvings that the prince of Wales gave to the original Brighton in 1935. In the evening the Rio Café, a classy resto-bar offers great music and drinks from 9pm onwards. For an off the beaten path experience of the local art scene Juanele offers the San Telmo Art Walk. The walk covers street and graffiti art and the major galleries in the San Telmo area. Walks start at 3pm at the Centro Cultural de España (CCEBA). Later on in the night head to one of the pubs in town for some sure fun. Buda Bar in Palermo is also hosting a St Patricks day party which promises leprechauns, lucky charms and great music. Start the day late by having an upscale lunch at Chila in Puerto Madero. 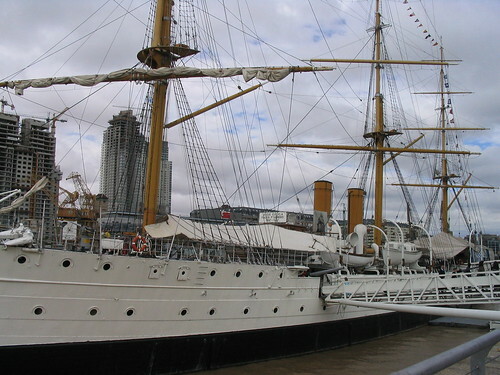 Whilst in the area check out Buque Museo Fragata, a frigate commissioned by the navy in 1898 to be used as a training vessel. Later on in the evening take the guided nocturnal tour of the ecologic reserve which occurs once a month, on full moons. To take the tour you must book your place on Monday the 14th of March. A great day to visit the Recoleta Cementary and the artisans fair in Plaza Francia. In the evening, jazz bar/restaurant/record store, Notorious, hosts a jazz jam session from 11.30pm onwards. Junín 1760 – CABA Open from 07,00 to 17,45. Sunday afternoon is a great opportunity go to a horse race in the Palermo Hipodromo. Race timetables are confirmed on Wednesdays. This entry was posted in Uncategorized and tagged Architecture, art, Autumn, buenos aires,, Casa Rosada,, History,, landmarks, March, Music Festival, nightlife, Places to see, St Patricks day by Fierro Hotel Staff. Bookmark the permalink.